He claims the quality of this photo isnt that good - but I think its wonderful! 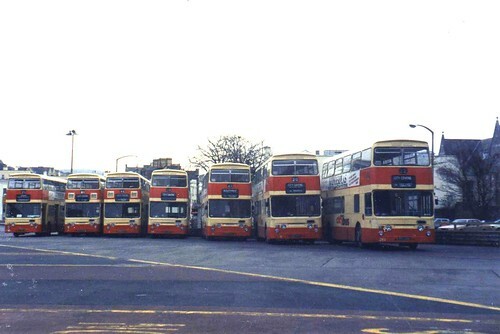 This is what Plymouth Citybus used to look like. In some ways it only seems like yesterday - it was well over twenty tears ago actually. A whole row of Citybus double deckers all in the same livery. Somehow a row of low floor Darts in the current livery just isnt the same!